Permit me, if you will, to pose to you a most important question in a couple of different ways: Why do you follow the Lord Jesus Christ? Why do we dare to call ourselves Christians? Why have I, who stand before you now, given my life to the Lord Christ so that others live? Today, near the Sea of Galilee, “A large crowd followed him, because they saw the signs he was performing on the sick” (John 6:1). Within this great crowd of followers exist a great variety of purposes and reasons for following after this teacher from Nazareth. Some followed him, we can be sure, out of a sincere and deep faith in their recognition of Jesus as “the Messiah, the Son of the living God,” as Peter would come to know (Matthew 16:16). Others surely followed him out of great curiosity and wonder, joining the crowd simply to see what might happen like the tax collector Zacchaeus who “was seeking to know who Jesus was” (Luke 19:3). Still others were certainly skeptical about this “carpenter’s son” (Matthew 13:55) and followed him so that they might learn where he found “such wisdom and mighty deeds” (Matthew 13:54). Still others followed him because they saw within the miracles he worked the tell tale sign of the coming of their long-awaited king who would restore the kingdom of Israel (cf. John 6:15). Each of these more than five thousand individual people followed after Jesus today for a specific reason, be it praiseworthy or not; none of them followed Jesus without purpose or without reason; each had their own motive. None simply followed the crowd to keep the status quo; none remained apathetic. Can the same be said of us? What have you seen in the person of Christ Jesus that leads you to follow him? Have you heard him saying, “Follow me” (John 1:43) or have you simply seen him “walk by” and followed in his way (John 1:36)? What led you to follow after the one who is “the way and the truth and the life” (John 14:6)? Some see in Jesus an abundance of food and rightly so, for he says of himself: “I am the living bread come down from heaven; whoever eats this bread will live forever; and the bread that I will give is my flesh for the life of the world” (John 6:51). Others see in him an abundance of health and rightly so, for the people “brought to him all who were ill or possessed by demons” and “he cured many who were sick with various diseases, and he drove out many demons” (Mark 1:32; 34). Others yet see in him an abundance of justice and rightly so for he “is just in all his ways and holy in all his works” (Psalm 145:17). Others seek in Jesus Christ understanding and rightly so, for he is Wisdom itself. I have found in him an abundance of love, of peace, and of joy and so I follow him and have given my life to him. Others seek riches in him and rightly so, for he is the “treasure buried in the field” and the “pearl of great price” (Matthew 13:44; 46). Indeed it is true that in Jesus Christ “The hand of the Lord feeds us; he answers all our needs” (Responsorial Psalm). Just as Jesus said to Andrew so he says to us: “What are you looking for?” (John 1:38). Whatever it is that you seek you will find in Christ Jesus. He himself tells us: “Ask and it will be given you; seek and you will find; knock and the door will be opened to you” (Matthew 7:7). He will satisfy our every need and for this reason our Blessed Lady says to us, “Do whatever he tells you” (John 2:5). Today Jesus has Andrew give him the five barley loaves and two fish; in short, he has Andrew give to him all that he has – nothing is to be held back and so it is with us. He says to us: “Come to me, all you who labor and are burdened and I will give you rest” (Matthew 11:28). When we come to him we must also give ourselves to him, holding nothing back. We must give to him all that we have and all that we are; both our strengths and our weaknesses, our joys and our sorrows, our faithfulness and our sin; nothing can be held back. In short, we must unite ourselves to his Cross. It is true that when we come before him we, like Andrew, recognize how small and useless we are. As we offer ourselves to Jesus, we, too, may be tempted to say, “There is a boy here who has five barely loaves and two fish; but what good are these for so many?” (John 6:9). We may even be that small boy. If we see ourselves as this young boy - who willingly and humbly offers what he has to Jesus despite its seeming insignificance – we do well. We do well to offer ourselves to the Lord, insignificant as we are. Before the Cardinals of the Church entered into the Sacred Conclave, then Cardinal Ratzinger, now Pope Benedict XVI, said this: “Many times we feel like useless servants, and it is true. And, despite this, the Lord calls us friends; he makes us his friends; he gives us his friendship” (Homily before the Conclave, 18 April 2005). In this way, then, Jesus calls all those who follow him, both those who follow him today in the Gospel and those of us here gathered, to enter into a relationship of friendship with him, a relationship based upon the love that he lavishes upon us by feeding us and satisfying all of our needs. In this friendship with Christ there is no room for doubt, for skepticism, for reservation. There is no room for fear or hesitation. He calls us to abandon ourselves to him and in abandoning our lives to find life for he says, “Whoever finds his life will lost it, and whoever loses his life for my sake will find it” (Matthew 10:39). In the beginning, we each follow Jesus for a great variety of reasons, each with our own motives, but in the end we must all follow him in faith, hope and love. Let us then abandon ourselves to Christ and so find in him our peace, our joy, and our deepest fulfillment. Yesterday afternoon I made the long trek across the wide state of Illinois to hold my nephew, Matthew William, for the first time. It was, for the most part, a pleasant and uneventful drive there and back, the round trip of which amounted to some eight hours in the car. I occupied my time listening to a series of lectures about Saint Augustine's Confessions. It was certainly worth the drive but it is one that I cannot do too frequently. 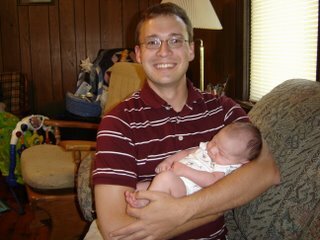 Little Matthew seems to be a happy baby who much prefers to be held than to be laid down. He sleeps well and cries little, always a good combination! I learned after only a few minutes of holding him that having a baby around will develop certain muscles that are rarely ever used, such as those in your wrist. Mom and Dad are both doing well and are very happy and excited. I look forward with great joy to watching Matthew grow up over the years to come. Many thanks again for all of your prayers! This past Sunday and Monday I spent at the Villa Maria in Springfield with a group of high school from across the Diocese gathered together to pray, to grow in the knowledge of the faith, and to join in fellowship. On Sunday I spoke to the youth about the Sacred Scriptures and on Monday I spoke about the Sacraments, and a great many other topics besides. I spoke for nearly four hours each day, which I must admit was quite exhausting. Only this morning have I recovered from it, and just in time to drive across the state to visit my nephew. Throughout the days they were very attentive and had many good questions . I celebrated the Holy Mass on Sunday night with them and was very moved at their prayerfulness. They responded well; they sang well; they listened well; and they sat well in silence and prayed! Never before have I celebrated the Eucharist and heard no coughing, no shuffling, no page turning, etc., during the moments of silence. These youth have a deep love of the Lord Jesus Christ and for this I am deeply grateful. It was both a privilege and a pleasure to spend those two days with them. I look forward with great joy to many more such opportunities in the years to come. After yesterday's surgery to remove a cancerous bladder within Francis Cardinal George, the Archbishop of Chicago is said to be doing "well." Throughout the five years that I studied at Mundelein Seminary I had the privilege of serving as the master of ceremonies for Cardinal George on a number of occassions. I also had the great pleasure of listening to His Emmincence speak to the seminarians on a great variety of topics. He is a holy man and a true shepherd of the Lord's flock. Cardinal George is out of surgery and is doing well after his successful bladder operation at Loyola University Medical Center. The Cardinal has already expressed his thanks and gratitude to all the people of Chicago for their prayers and best wishes. He also extends his gratitude to his doctors, nurses and all the members of his medical team. During the days and weeks ahead, we will continue to ask all Catholics in the Archdiocese and other friends and colleagues to pray for the Cardinal's recovery and return to his active life. It is reported that the doctors expect a fully recovery from the surgery. 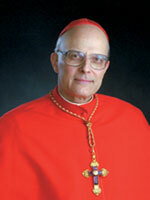 Please continue to keep the good Cardinal in your prayers in the days and weeks ahead. 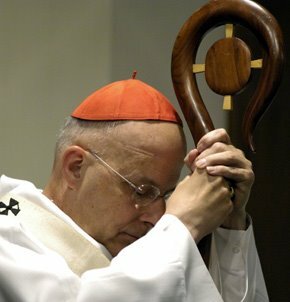 Prayers are requested for Francis Cardinal George, the Cardinal Archbishop of Chicago, who will undergo surgery tomorrow, 27 July, for cancer in his bladder. Thankfully, his doctors expect a full recovery. "I ask my fellow priests, the religious, all Catholics in the Archdiocese adn other friends and colleagues to pray for me," said His Emminence. "I trust that the Lord will give me the strength and grace I need during these next days and weeks." Saint Francis of Assisi and Saint George, pray for us! This evening, the students, faculty and staff of the Liturgical Institute went for a delightful dinner to celebrate the conclusion - and the successes - of the summer session. I sat at table with Fr. Edward T. Oakes, S.J., Fr. Sameul F. Weber, O.S.B., and Fr. Robert Schoenstene (among others), three brilliant men in their own right and inspiring priests and preachers, faithful sons of holy Mother Church. Throughout the evening, there were a number of occassions where all I could do was lean back in my chair and listen, in awe and wonder, to the great wealth of knowledge each of them contained, ranging from the obscure and magnificent in all things musical, liturgical, linguistic, doctrinal, and historical. 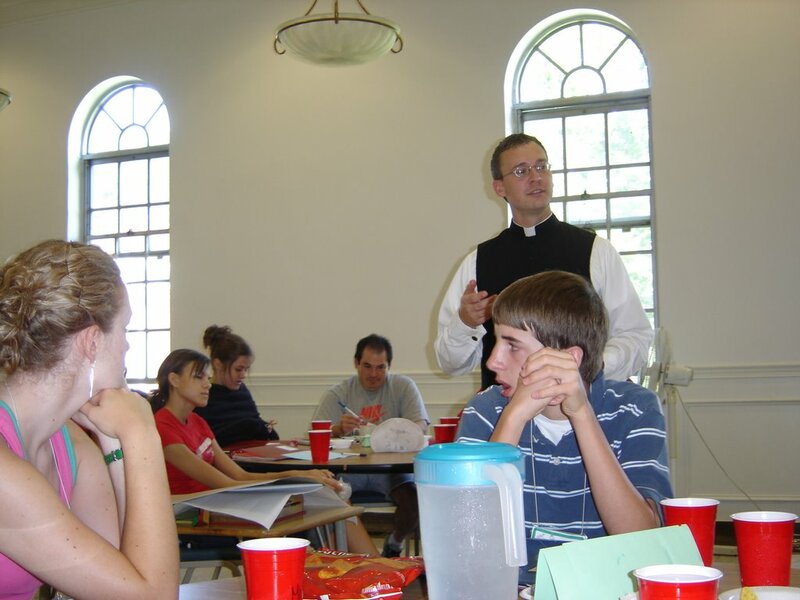 During my seminary studies I was privileged to have been taught by Fr. Oakes and Fr. Schoenstene, as well as many excellent learned and holy men and women. As I think back on the tremendous opportunities offered me by my studies here both at Mundelein Seminary and at the Liturgical Institute, I am deeply grateful to the Lord for his goodness and generosity. I have sat at the feet of a great many masters whom I greatly admire and whose love of the Lord and of learning I am honored to have received. Jesus reminds us: "No disciple is above his teacher, no slave above his master. It is enough for the disciple that he become like his teacher, for the slave that he become like his master" (Matthew 10:24-25). I hope one day to be only marginally as intelligent as they. That will be enough for me, Lord. In the morning we will concelebrate Mass and then - in the words of Bilbo Baggins - bid each other "a very fond farewell," until we meet again. As classes wind up this week and conclude on Friday there are many things to be done: packing, cleaning, packing, laundry, packing, changing the oil in the car, packing, dry cleaning, packing, writing papers, preparing for exams, returning library books, mailing letters and yet more packing. This morning I set out to accomplish two of these tasks before class. It stormed all night here and is supposed to do the same throughout the morning. As I left the Institute to pick up some dry cleaning the rain was coming down but none too harshly. The dry cleaners have apparently acquired a new computer system since I dropped off my things two days ago, which quite naturally makes their work much more difficult than need be. At any rate I collected my things and made off for the post office but on the way I decided I wanted a snack and so I stopped in to the Walgreens just down the street from the post office. When I left the dry cleaners the rain stopped and still had not resumed when I entered Walgreens. After collecting my muffin and going to the cash register I looked out the window and was quite surprised at what I saw: it was pouring! I had not even been in the store for two minutes...I had left my umbrella in the car thinking I would not need it. I then chatted with the cashier waiting for the storm to let up for about ten minutes and when it let up slightly I took my chances and dashed out for the car. When I pulled back into the parking lot at the Institute seven minutes later the rain stopped...naturally. I am happy to say that I passed my Latin class but please do not ask me to translate anything for you; I am not that good. Today I take my oral exam for the Liturgical Year and the Liturgy of the Hours, and my exam for Reformation Thought I took last week. I will return to the parish tomorrow afternoon and will then finish two papers for my classes next week, one on St. Francis of Assisi' view of the priesthood in light of the teachings of the Fourth Lateran Council, and the other on Luther and Calvin's view of the priesthood and the response of the Council of Trent. Sunday and Monday I will be in Springfield at a youth retreat of sorts that we have called "Advanced Catholic Training." 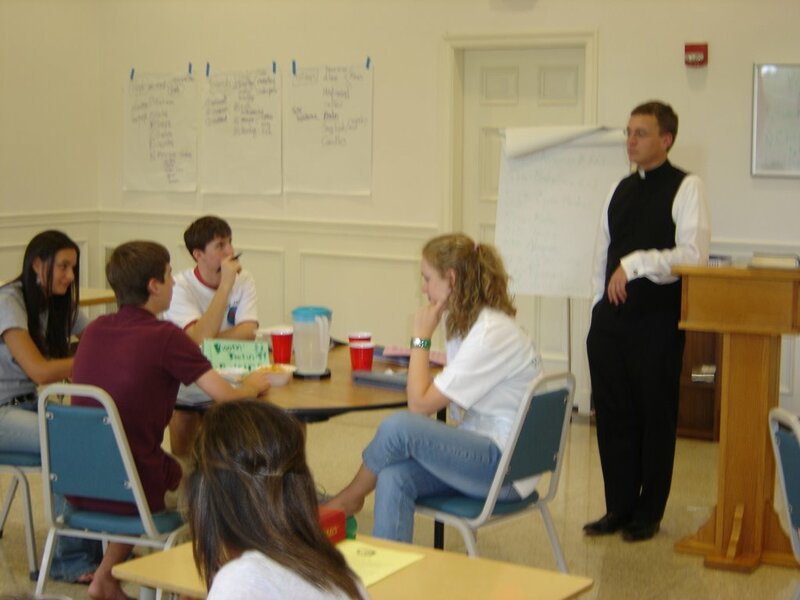 We spend five days teaching the "cream of the cream of the crop" Scripture; Sacraments; Tradition, Doctrine and Dogma; Morality; and Social Justice, just to name a few. I will be presenting several sessions on the Scriptures and the Sacraments. I am very much looking forward to these two days but I am also looking forward to returning to the parish to "relax" for a bit. A blessed summer to each of you! "In particular, the Supreme Pontiff hopes that prayers will be raised to the Lord for an immediate cease-fire between the sides, for humanitarian corridors to be opened in order to bring help to the suffering peoples, and for reasonable and responsible negotiations to begin to put an end to objective situations of injustice that exist in that region; as already indicated by Pope Benedict XVI at the Angelus last Sunday, July 16. "In reality, the Lebanese have the right to see the integrity and sovereignty of their country respected, the Israelis the right to live in peace in their State, and the Palestinians have the right to have their own free and sovereign homeland. The Sisters of St. Francis of the Martyr St. George are one of those groups of young women religious who are flourishing and growing by leaps and bounds throughout the country. On Tuesday, 15 August 2006, the Solemnity of the Assumption of the Blessed Virgin Mary, at the motherhouse in Alton, six sisters will make their First Profession, six sisters will enter the novitiate, and one sister will celebrate her golden jubilee. I am happy to say that I am friends with one of the sisters who will make her first profession and that I will be able to present for the glorious and beautiful day. Please keep these sisters in your prayers. Legazpi City: To the village of Puro, the big news is not the impending eruption of Mayon Volcano. It is the “resurrection” of 10-year-old Dante “Jun-Jun” Cardel Jr.
Jun-jun was declared dead by doctors at the Philippine General Hospital on June 21. He came back to life after 17 hours, in the middle of his wake. One day in early June, Jun-Jun began to vomit blood. His parents took him to Tanchuling Hospital in Legazpi. When his condition didn’t improve, they brought him to the PGH in Manila. Doctors at PGH said there was a tumor in the boy’s head that was in a dangerous stage of growth. There was little they could do to save him. On June 21 doctors removed Jun-Jun’s life-support system and declared him dead about 4 p.m.
Dante Cardel, 36, and wife, Sheila, 34, took the body home in a service car provided by the Child Sponsorship for Community Development Inc. (CSCDI), a nongovernmental organization helping poor families in Albay. In Naga City, Dante told Sheila he felt Jun-Jun chest was getting warm but he thought nothing more of it. The van arrived in Puro about 5 a.m. of June 22. The whole neighborhood turned up for Jun-jun’s sad homecoming. Tents had been set up at the yard for the wake. Everyone pitched in, arranging tables and chairs, preparing food. At 8 a.m. Jun-Jun suddenly opened his eyes, hugged his father tight and asked for food. He was alive. “We cheered and thanked God for bringing my son back to life,” Sheila said. No one could explain what had happened. The parish priest, Fr. Jose Bañares, said Jun-Jun might still have a mission on earth and advised the family to keep praying and believing in God’s grace and power. Jun-Jun told The Manila Times he woke up from his long sleep because he was told by Jesus Christ to rise from his father’s arms. “I was in my father’s arms when I saw Jesus Christ with a beard and long blond hair. He told me to wake up. There were two birds beside him, one black and the other white, flying around jackfruit trees. Jesus looked at me and touched my eyes. When I woke up I looked up at the sky, but I didn’t see him again,” Jun-Jun told The Times. Jun Jun, who finished Grade 4, is the fourth child and the only boy in the family of seven siblings. “I wanted to become an engineer. Next year I will back to school at Puro Elementary School,” he said. “We cannot really say that there was a miracle, but it could be a divine intervention because of their strong belief in God,” Father de Leon said. The Most Reverend George J. Lucas recently commented on the approval by the United States Conference of Catholic Bishops of the English translation of the Ordo Missae [the Order of Mass]. Many of us remember both the excitement and confusion that we experienced when we began to use the missal published by Pope Paul VI and translated into English. Priests and people were often not as well prepared as they might have been to receive this new missal and to appreciate its origin and its meaning. Now that we have become used to it, many would simply like to leave well enough alone. But that is not up to us. Nor did the bishops of this country decide on their own that there ought to be changes in the Mass. I wish that the Bishops in the United States - as a whole - would stop "passing the buck" onto the Holy See for the revised translation of the Missal; Rome is not the bad guy and the U.S. Bishops are not lazy, nor are they simply causing difficulty for everyone in the new translation. A new translation is necessary; period. Why must some be "blamed" for what needs to be done? The fact remains that we currently use the first typical edition of this Missal and the translation recently approved is the third typical edition; the second edition was translated but the Holy See did not grant the necessary recognitio. Why will the USCCB simply not admit that the translation we currently use - helpful as it has been - has several problematic areas to it, not least of which is the semi-Pelagian sense gathered from many of the translations of the prayers? As I continue my class in Latin I see anew everyday as we translate prayers in class how lacking so many of the prayers are regards to the original. It is time to admit that the current translation has served its purpose and the time has come for a revision, something that was to have happened shortly after the first translation went into effect. There was to be a period of use, followed by reflection and comment, and then a revision, something that seems never to have occurred. Perhaps some of the changes that this new translation will bring will necessarily seem trivial. In fact, the words that we hear and speak in the sacred liturgy are very important. They help us articulate who we are, God’s holy people, and they make it possible for us to participate in true worship of God. It will be at least two more years before an English translation of the missal is complete and approved for use. An important part of our “staying on the same page,” or remaining authentically Catholic, is our use of proper liturgical language. He is quite right. It is high time Catholics in America realize that the Roman Catholic Church does not revolve around them and that, in the grand scheme of things, Catholics in America are a great minority in the Church throughout the world. We must always look to the Universal Church while at the same time looking to the Local Church. In recent days the news from the Holy Land is a reason for new and grave concern for all, in particular because of the spread of warlike actions also in Lebanon, and because of the numerous victims among the civilian population. At the origin of these cruel oppositions there are, sadly, objective situations of violation of law and justice. But neither terrorist acts nor reprisals, especially when they entail tragic consequences for the civilian population, can be justified. By such paths, as bitter experiences shows, positive results are not achieved. Last Wednesday evening, Archbishop-designate of Canberra (Australia) Mark Benedict Coleridge and the Reverend Monsignor Bruce Harbert spoke to the students of the Liturgical Institute concerning the translation of the third typical edition of the Roman Missal into English. The Archbishop-designate began the talk by stating, "We are not ICEL." ICEL, the International Commission on English in the Liturgy, is comprised of one bishop from each of eleven Bishop's Conferences. Because not all of the bishops who serve on ICEL have scholarly backgrounds in the art and science of translation, the Roman Missal Editorial Committee - which is not a standing committee of ICEL - was established to translate the Roman Missal into the English language. Bishop Colerige is a member of the committee and Msgr. Harbert is the executive director of ICEL. In his remarks, Bishop Coleridge reminded the students that the 1973 Missal - which we currently use - was translated from the Latin to English using a notion of "dynamic equivalence" in accord with a decree of 1969. A revision of the 1973 translation was done fifteen years later - "the 1998 Sacramentary" - and was sent to the Holy See for the required recognitio, a request that was denied. With the issuance of Liturgiam Authenticam in 2001, "quite different" norms for translations were put into effect resulting from thirty years of reflection upon the previous norm of dynamic equivalency, thus necesitating a new translation of the Roman Missal, not withstanding the fact of the publication of the third typical edition of the Missal. The Archbishop-designate said, "Christianity has always been a translating religion" and with the translations being undertaken - the "Englishing of the Roman Rite" - now are a "fresh attempt to ensure that the lex orandi [the rule of prayer] and the lex credendi [the rule of belief] are as closely in convergence as possible." Despite the confusion of the past several years - and the recent squabbles within the United States Conference of Catholic Bishops - there is great hope for the future. The Roman Missal Editorial Committee anticipates completing its initial work with the translation process by August of 2007. This translation would then be sent to ICEL and to the Conferences of Bishops for their consultation and, if approved, to the Holy See for the recognitio. On the Memorial of Saint Bonaventure, Saturday, 15 July 2006, at 6:19 p.m., Matthew William Zehnle came forth from his mother's womb and entered this world, a beautiful gift to two happy parents and a very happy - and impatiently driving - uncle. At birth, Matthew weighed eight pounds and four ounces and was nineteen and a half inches long. His coloration was a bit grey so the doctors put him on oxygen until his coloration improved; by Sunday morning he was off of the oxygen and his color was normal. Little Matthew seems to have been born with a bit of pnuemonia (there was also some concern as to strep throat but that has proven not the case) and will consequenlty be in the hospital for another five days. Mom will be discharged later today so she will not have nurses checking in on her (thereby unecessarily spending large amounts of money), but she will be able to use the room she is in to hold and cuddle her new son. Matthew was taken off of the IVs - except for one for antibiotics - this morning and is now eating/drinking from a bottle and is contentedly in his parents arms. His father is on cloud nine and has held him this morning for the first time. Because he was kept in the nursery, I have not yet been able to hold him, but he is a beautiful baby who - even with the IVs and oxygen - has been resting quite nicely. Mom, Dad, and baby are all doing well, and Uncle is now back to classes and writing papers. I hope to be able to return early next week to hold my nephew. Many thanks again for all of your prayers, support, and encouragement! Saints Bonaventure, Matthew and William, pray for him! My brother called a few minutes ago to tell me that they are currently in the hospital awaiting the birth of his son. Thanks to the generous help of two retired priests - who have been helping me while I have been back at the Liturgical Institute - I will be leaving for Quincy shortly to welcome my nephew into the world. Many thanks for your continued prayers these past two weeks; please keep them coming! And to think I almost didn't bring my camera with me when I left for the parish this weekend! Today as I drove back to the Liturgical Institute from my weekend at the parish, I decided that I needed a DrPepper, always my beverage of choice. And so seeing a Target, and to quench my thirst and to satisfy my need for caffeine, I left the Interstate - which I am always happy to do - and entered the store. Thinking it rather silly to go into a Target simply for one DrPepper, I visited the electronics department and looked for a movie that I might watch tonight as I had planned then to write a paper this evening. As my eyes surveyed the selection of movies, most of which I have never heard of, in a passing glance one title stopped me in tracks. When I was a boy there a television show made by Jim Henson and his crew which featured, quite natually, his masterfully puppetry and visual skills, coupled with his wonderful narrative vision. Each week I looked forward to this show and I recall being rather upset when it was no longer on the air. This show - the definitive collection of it - I found on DVD: Jim Henson's, The Storyteller. If you are of a like mind, I highly recommend this collection, even these many years later. It is an unlikely mission on which the Lord sends his prophet Ezekiel, a mission to a people who are “hard of face and obstinate of heart;” they are immensely stubborn (Ezekiel 2:4). But what message did the Lord send Ezekiel to proclaim to this sinful and erring people? When you hear a word from my mouth, you shall warn them for me. If I say to the wicked man, You shall surely die; and you do not dissuade him or speak out to dissuade him from his wicked conduct so that he may live: that wicked man shall die for his sin, but you I will hold responsible for his death. If, on the other hand, you have warned the wicked man, yet he has not turned away from his evil nor from his wicked conduct, then he shall die for his sin, but you shall save your life. If a virtuous man turns away from virtue and does wrong when I place stumbling block before him, he shall die. He shall die for his sin, and his virtuous deeds shall not be remembered; but I will hold you responsible for his death if you did not warn him. When, on the other hand, you have warned a virtous man not to sin, and he has in fact not sinned, he shall surely live because of the warning, and you shall save your own life (Ezekiel 3:18-21). Who would ever ask to be given such a mission? Surely none of us would volunteer to proclaim this message of the Lord. To Ezekiel is given the duty of calling to the attention of the people their evil, wicked and sinful ways. He is to call the people to repent, to turn from their sin and to embrace the way of the Lord, to keep his commands and to walk in his paths. But beyond this, just as nobody wants this mission, very few people want to hear these words. Few of us want to have our sins pointed out to us; we know them already, if we are truly prayerful and truly honest. Each of us sins daily; “all have sinned and are deprived of the glory of God” (Romans 3:23). And yet, this is the very message Ezekiel is given, and more besides: Ezekiel himself will be held responsible for the sins of the people, just as he will be held responsible for their repentence. I call heaven and earth today to witness against you: I have set before you life and death, the blessing and the curse. Choose life, then, that you may live and your descendants may live, by loving the LORD, your Good, heeding his voice, and holding fast to him (Deuteronomy 30:19-20). Even with such a clear choice as that between life and death, still the people refused to heed the commands of the Lord. Are we any different than they? How often do we ignore the commands of the Lord? The Lord Jesus came among us proclaiming the same message as Ezekiel: “Repent, for the kingdom of heaven is at hand” (Matthew 4:17). It is because of this message – because he called their sins to their attention – that the people asked “Where did he get all this?” “and they took offense at him” (Mark 6:). Even today the Lord calls us to repent of our sins and to follow faithfully after him. When we keep our sins to ourselves and refuse to confess them to the Lord through the Sacrament, we are very much like those stubborn Israelites who refuse to listen to the word of the Lord, who refuse to choose life. “As the eyes of servants are on the hands of their masters … so are our eyes on the LORD, our God, till he have pity on us” (Psalm 123:2, 4). Just as servants cannot look upon the face of their masters, neither can we, in our sin, look upon the face of the Lord with the fullness of love, for we will look upon him in guilt. To save us from this condition, the Lord Jesus “was pierced for our offenses, crushed for our sins” (Isaiah 53:5). To all those who will accept his grace and his mercy, he will free them from their sins and bring them to share the glory of his Resurrection. In his great love, he has given us the sacraments, through which we have access to his grace. His forgiveness is available to us through the sacrament of Penance and Reconciliation. It is a very great sadness to me that so few people today take advantage of this necessary opportunity to receive divine grace. In a parish of some 4,000 people, on a weekly basis – outside of Lent - only about 5 receive the sacrament. So few avail themselves of the Lord’s love and mercy; so few follow his ways. It is true that we need not confess our sins – except for serious and mortal sins – every week. Our serious and mortal sins we must confess whenever we are aware of them, before receiving any other sacrament. Our other sins – our venial sins – we are to confess at least once a year. All this besides, we are greatly encouraged to receive the sacrament frequently, so as to frequently receive the Lord’s grace and love. When we confess our sins we can look upon the radiance of his face with the tenderness and intensity of authentic and joyful love, free from all guilt. We cannot save ourselves from our sins; only the Lord can do so - and he wants to do so - but we must cooperate with his grace. Just as Saint Paul was very much aware of his weaknesses, so should we be aware of our own weaknesses; frequent confession will help us be aware of our sins and will help us to avoid sin and to walk daily in the ways of the Lord. Just as the Lord said to Paul, “My grace is sufficent for you, for power is made perfect in weakness,” so he says to us (II Corinthians 12:10). When we present our weakness to the Lord he will make us strong in his grace. Then, with Paul, we can truly say, “for when I am weak, then I am strong” (II Corinthians 12:11). His Holiness took his seat again today in his teaching chair as he addressed those gathered in Saint Peter's Square for the Wednesday General Audience, reflecting today upon the person of Saint John the Apostle, called "The Theologian" in the Eastern Church. Making reference to the appearances of John, who, according to tradition is the "beloved disciple," in the Gospels, Pope Benedict reminds us that "John is always part of the restricted group that Jesus took with him on certain occassions." In fact, it was John who, after the Resurrection, "would be the first to recognize the Lord and to point him out to Peter (cf. John 21:1-13)". The example of John and Peter in bolding proclaiming their faith, says His Holiness, "remains as an example and a warning for all of us that we will be ready to declare with determination our unbreakable adherence to Christ, putting our faith before any human calculation or interest." Continuing his pattern of drawing an example from the lives of the Apostles, the Holy Father remarked, "we content ourselves with drawing an important lesson for our lives: the Lord wishes to make of each one of us a disciple who lives in personal friendship with him." But to be a disciple and friend of the Lord, "it is not enough to follow and listen to him exteriorly; it is also necessary to live with him and as him. This is only possible in the context of a relationship of great familiarity, penetrated by the warmth of total trust. It is what happens between friends." At the conclusion of his address, the Holy Father implored the intercession in two different ways, saying, "Maying the Lord help us to place ourselves in the school of John to learn the great lesson of love so that we feel loved by Christ 'to the end' (John 13:1) and spend our lives for him," and "By his prayers, may we more fully experience the mystery of the Father's love revealed in Christ, and respond by offering our lives ever more generously to him." To date, His Holiness has reflected upon the person of Peter (17 May, 24 May and 7 June), Andrew (14 June), James the Greater (21 June), James the Less (28 June), and, today of course, John (5 July); 5 down, 7 (or 8?) to go. 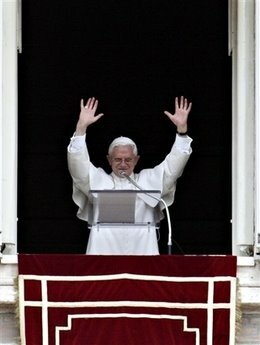 I am beginning to wonder: will His Holiness speak on the person of Judas, or will he skip Judas and go on to Matthias? If anybody knows, I would love to know, as well. 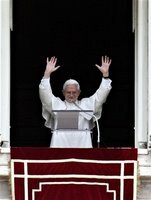 Before too long, the Holy Father, like the rest of the Holy See, will begin his summer vacation, during which he will suspend his Wednesday Audiences until he returns to the Vatican in early September. I fear this means that will have to wait until September to hear his continuing reflections on the Apostles. This would be most unfortunate. Perhaps he will continue these catecheses at the Angelus addresses. Inquiring minds want to know. At any rate, Saint John the Apostle, pray for us! This weekend, July 8th and 9th, His Holiness will embark upon an Apostolic Journey to Valencia, Spain, to partake in the Fifth World Meeting of the Families which began on July 1st. After being welcomed at the airport His Holiness will visit the site where 41 people were killed in a subway accident earlier this week. While in Valencia he will make the usual round of meeting with the Bishops of Spain. He will also lead the recitation of the Angelus twice and, of course, celebrate the Holy Mass for those invovled in the meeting of the families. During his address after the Angelus this past Sunday, His Holiness offered both some reflections on the importance of the family as well as a challege to families today, together with a reminder that it is precisely within the family where the faith is to be taught and nurtured. We expect he will address this topic more deeply in the speeches he will give in Valencia. Remember to keep the Holy Father, and all families, in your prayers. As I wait for the birth of my nephew - now three days past due - I am struck by the growing excitement and anticipation that I feel welling up within me. With each passing day the joy grows greater as I continue to wait by the phone - not anxiously or with worry, but with peace and great expectation. After having sat with these feelings it occurs to me that this is really how we should be living each and every day of our life, not waiting for the coming an infant, but waiting "in joyful hope for the coming our Savior Jesus Christ," as the priest prays at every Mass. I have a number of sayings that I toss around from time to time and one them - perhaps my favorite - is, "Bring on the eschaton. Let's get this over with. It's been two thousand years; some of us are tired of waiting." While I often say this in jest, I also mean what I say. My heart yearns for the coming of the Lord. I want, with all my being, to dwell in his presence for "better one day in [his] courts than a thousand elsewhere" (Psalm 84:11). And yet, I am not sure that I have felt the same excitement about the Second Coming of the Lord as I have felt about the birth of my nephew. I cannot give any real reason as to why the intensisty of anticipation has not been the same for I do not know why, although I do know that I do indeed want the anticipation to be the same. I often ask the Lord Jesus why he still has not yet returned and he answers me with the words of St. Peter: "The Lord does not delay his promise, as some regard 'delay,' but he is patient with you, not wishing that any should perish but that all should come to repentance" (II Peter 3:9). Sometimes I wonder if the Lord is not too patient with his people, but then I hear the words he spoke through his prophet Isaiah: "For my thoughts are not your thoughts, nor are your ways my ways, says the LORD. As high as the heavens are above the earth, so high are my ways above your ways and my thoughts above your thoughts" (Isaiah 55:8). Be patient, therefore, brothers, until the coming of the Lord. See how the farmer waits for the precious fruit of the earth, being patient with it until it receives the early and the late rains. You too must be patient. Make your hearts firm, because the coming of the Lord is at hand. 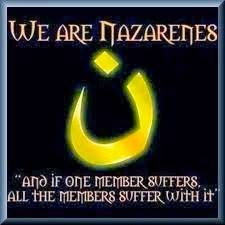 Do not complain, brothers, about one another, that you may not be judged. Behold, the Judge is standing before the gates. Take as an example of hardship and patience, brothers, the prophets who spoke in the name of the Lord. Indeed we call blessed those who have persevered. You have heard of the perseverence of Job, and you have seen the purpose of the Lord, because "the Lord is compassionate and full of mercy" (James 5:7-11). We hear the promise of the Lord to "sing and rejoice, O daughter Zion! See, I am coming to dwell among you, says the LORD" (Zechariah 2:14). He says to us, "I am coming quickly. Hold fast to what you have, so that no one may take your crown" (Revelation 3:11). And yet, the more we look for his coming the more insistently we are told that "the day of the Lord will come come like a thief, and then the heavens will pass away with a mighty roar and the elements will be disolved by fire, and the earth and everything done on it will be found out" (II Peter 3:10). And here we sit nearly two thousand years later watching and waiting. Therefore, stay awake! For you do not know on which day your Lord will come. Be sure of this: if the master of the house had known the hour of night when the thief was coming, he would have stayed awake and not let his house be broken into. So, too, you also must be prepared, for at an hour you do not expect, the Son of Man will come (Matthew 24:42-44). As we wait in joyful hope, let us heed the warning of the prophet Zechariah: "Silence, all mankind, in the presence of the LORD! for he stirs forth from his holy dwelling" (Zechariah 2:17). May the Lord increase within me - and you - the desire for his return in glory. Me he increase my - and your - expectation and longing for his return. May he make it as instense as my yearning for the birth of my nephew. May the Lord come quickly and send his herald to proclaim to us: Annuncio vobis gaudium mangum! "Behold, the bridegroom! Come out to meet him!" (Matthew 25:6). I want to "look on him whom they have pierced" and so I will go and adore our Eucharisitc Lord (Zechariah 12:10). Then I saw a new heaven and a new earth. The former heaven and the former earth had passed away, and the sea was no more. I also saw the holy city, a new Jerusalem, coming down out of heaven from God, prepared as a bride adorned for her husband. I heard a loud voice from the throne saying, "Behold, God's dwelling is with the human race. He will dwell with them and they will be his people and God himself will be with them [as their God]. He will wipe away every tear from their eyes, and there shall be no more death or mourning, wailing or pain, [for] the old order has passed away." The one who sat on the throne said, "Behold, I make all things new" (Revelation 21:1-5). Come and dwell with us, Lord! Family, Live and Transmit the Faith! After praying the Angelus yesterday afternoon, the Holy Father address families, keeping in mind that "the theme of the forthcoming meeting in Valencia is the transmission of the faith in the family. The theme of the apostolic visit to that city is inspired in this commitment: 'Family, Live and Transmit the Faith!'" 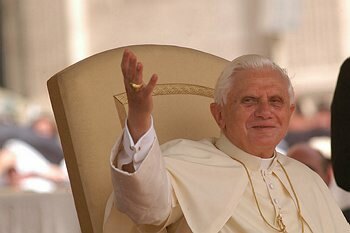 Pope Benedict XVI reminded us that "the family is a living organism, where a mutual exchange of gifts takes place. What is important," he insisted, "is that the word of God, which keeps the flame of faith alive, never be lacking." With a particularly significant gesture, during the rite of baptism, the godfather or godmother lights a candle from the great paschal candle, a symbol of the risen Christ and the celebrant says: "To you, parents and godparents, is entrusted the task of guarding this light so that this child, illuminated by Christ, may always live as a child of the light." If this gesture, in which the whole meaning of the transmission of the faith in the family lies, is to be authentic, it must be preceded and accompanied by the parents' commitment to further their own knowledge of the faith, rekindling the flame with prayer and the assiduous practice of the sacraments of confession and the Eucharist. It should be noted that, in the English translation of the Rite of Baptism, there is, regretfully, no mention of the parents and godparents "guarding" the light of Christ. What follows are a couple of snipets from Pope Benedict XVI's homily he delivered on the Solemnity of Saints Peter and Paul. "...the Lord is continually on a journey towards the Cross, towards the lowliness of the suffering and slain servant of God, but at the same time, he is also headed toward the vastness of the world, in which He goes before us as the Risen Lord, in order that the light of his word and the presence of his love may shine forth in the world; he is on a journey because it is through Him, the crucified and risen Christ, [that] God enters the world." "The barque of the Church is forever being buffeted by the wind of ideologies that penetrate it with their waters, seemingly condemning it to sink. And yet, precisely in the Church's suffering, Christ is victorious. In spite of everything, faith in Him always draws new strength. Today also the Lord commands the waters, and shows himself as Lord over the elements. He stays on his boat, the ship of the Church. Thus even in the ministry of Peter there is revealed the weakness of what comes from man, but also the strength of God." "The prayer of Jesus is the limit posed on the power of evil. The prayers of Jesus are the protection of the Church. We can seek refuge under his protection, cling to it and be sure of it." "The Church, at its core, is a Eucharistic community, and therefore a communion in the Body of the Lord." "His power is not a power according to the rules of this world. It is a power of goodness, of truth and love, which is stronger than death. Yes, his promise is true: the power of death, the gates of hell, will not prevail against the Church He built for Peter (cf. Matthew 16:18), and that He, precisely in this way, continues to build up in person." As I remarked earlier, this afternoon a friend and I attempted to visit the exhibit "Tutankhamun and the Golden Age of the Pharaohs" at the Field Museum. It promised to be a most exciting day until we arrived at the museum only to find that tickets for the day were sold out. You can imagine our frustration when we thought back to last night when we nearly purchased our tickets in advance. However, due to a spirit of frugality, we did not wish to pay an additional $13 or $14 simply for the convenience of ordering the tickets online. So much for being responsible! In an attempt to make the best of the situation and being very close to the Shedd Aquarium we decided to spend our money there instead. In theory, not a bad idea . . .
After waiting for an hour and a half outside the aquarium in line to purchase tickets, followed by an additional half hour wait inside the museum, we finally purchased the necessary paper slips and entered the aquarium together with what seemed to be 10,000 of our closest friends. Today I remembered why I hate large cities, Rome excepted. The afternoon was filled with me in vain attempts to avoid people in general, but specifically to avoid being bumped into, shoved out of the way, stood in front it of, being surrounded by people going the wrong direction through an exhibit and so on and so forth. In short, I continually tried to place myself out of the way of people who somehow failed to even notice my existence, all to a very great failure. Although the aquatic creatures are a truly a sight to behold and a wonder of creation, I could not enjoy the day, being already simply exhausted from standing in line and emotionally drained from the constant lack of recognition of my being made in the image and likeness of God himself, not the image and likeness of some telephone poll or rock. Whenever I find myself in the company of a great many Americans I am always struck by our absolute lack of respect - and even recognition - of other people. I have experienced this not only in the Shedd Aquarium, but in shopping centers, the March for Life itself, cemeteries, sidewalks, schools, and - most abominable of all - even within churches. It is deplorable to notice how many people apparently feel no regard for another person whatsoever and will stand directly in front of someone when they are very clearly already looking in the direction - and at the same thing - the new person wants to face or see. One could argue that we care so little for anyone except myself that I do not even notice the other when the other happens to be either where I want to be or an inconvenience for me, we simply move them out of the way. Simply consider how many babies are killed before even birth simply because the parents are not ready to have children. One should have considered that before engaging in the conjugal act. Consider how many elderly people are cast off to nursing homes to have someone else care for them. Consider, too, how pitifully few of these elderly have any family members visit them daily or even weekly (God love those of you who do visit your elderly relatives!). Consider the homeless people and the millions of poor people who live in our cities that we relegate to areas where we never even dream of venturing. In a nation that claims to be at least 70% Christian, this is simply intolerable. Having said all of this, I do not mean to say that I have not done - nor to cotinue to do - any of the things that I have condemened. Quite the contrary. However, I do beleive that I am at least a little bit more conscious of this than most people. Perhaps I am simply over sensitive, but I think not. But then how does one go about reversing this perverse focus on the self? Quite simply, really, and this the Holy Father attempts to do through his Encyclical Letter Deus caritas est. At the outset of his letter he writes: "I wish to emphasize some basic elements, so as to call forth in the world renewed energy and commitment in the human response to God's love" (1). I cannot possess Christ just for myself; I can belong to him only in union with all those who have become or who will become, his own. Communion draws me out of myself towards him and, thus, towards unity with all Christians. We have become "one body", completely joined in a single existence. Love of God and love of neighbor are now truly united: God incarnate draws us all to himself (14). Anyone who needs me, and whom I can help, is my neighbor. The concept of "neighbor" is now universalized, yet it remains concrete. Despite being extended to all mankind, it is not reduced to a generic, abstract and undemanding expression of love, but calls for my own practical commitment here and now (15). Jesus identifies himself with those in need, with the hungry, the thirsty, the stranger, the naked, the sick and those in prison. "As you did it to one of the least of these my brethren, you did it to me" (Matthew 25:40). Love of God and love of neighbor have become one: in the least of the brethren we find Jesus himself, and in Jesus we find God (15). By the by, if you have not yet read the Holy Father's Enclyclical, shame on you! :) Get to it right away! It is powerful, beautiful, and transforming. And it is easy to read; Pope Benedict is a poet at heart. The son of my brother is due to be born today. This being the first child, though, I am told that he might wait up to two more weeks, which I certainly hope he does not do, both for my sake and for the sake of the mother. As the day has come slowly closer I have become increasingly excited about being an uncle. The good German in me says that because today is the due day, the child should be born today. Silly Germans . . .
At any rate, my cell phone will be impatiently waiting by me at all times to hear the elated voice of my brother . . . and my car key will be in my pocket ready to commence the six hour drive home to meet him. Please keep baby and family in your prayers. 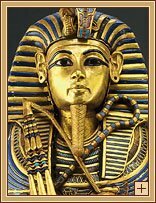 After Mass later this morning a friend and I will be heading for the city - my first time since returning to the Liturgical Institute - to see the exhibit "Tutankhamun and the Golden Age of the Pharaohs" at the Field Museum in Chicago. I remember fondly as a boy of some twelve years of age or so - and for some years afterward - reading quite a bit about this young Pharaoh. I was fascinated by him, as I was by all things of the ancient world, be they Egyptian, Greek, Roman or other. The sheer beauty of ancient Egyptian artwork alone was enough to entrance me then, and still it does today. The tremendous history attached t these cultures only added to my wonder and awe. Of all of the artificacts on display in this exhibit that returns to the United States some thirty years after its initial showing, now with consierably more artifacts, I am most looking forward to seeing the throne of Tutankhamun. This promises to be a most exciting day! Most every Saturday night since my assignment as the Parochial Vicar of St. Anthony of Padua parish, the evenings have remained much the same. At 5:30 p.m. I celebrate Mass in either Effingham or in Shumway, depending upon the weekend. At 6:45 p.m. I join Msgr. Enlow for dinner. At 8:00 the great pleasure of the evening begins with the British comedies on the local PBS stations, most notably the shows As Time Goes By and Keeping Up Appearances. At 9:00 I then do some light reading while watching additional British comedies that are good, but nearly as good as others. At 10:00 I watch The Red Green Show, a bizarre, but enjoyable, show from our Canadian friends. 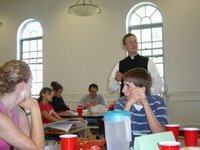 Since I am at the Liturgical Institute this weekend I began thinking back to my days in the seminary and I remembered that my Saturday night ritual was much the same then as it is now. As such, I have spent the greater part of the day looking forward to watching these shows, which I have not seen in some weeks because of travels and weddings. But more than this, I remembered that there was comedy in particular that I very much loved: The Vicar of Dibley. And so my hopes grew that this show might also be on this evening. I must admit my extreme displeasure to learn that none of these shows are on either of the two PBS channels we receive here. Now I am not sure what I will do tonight; I suppose I will have to research a couple of papers.